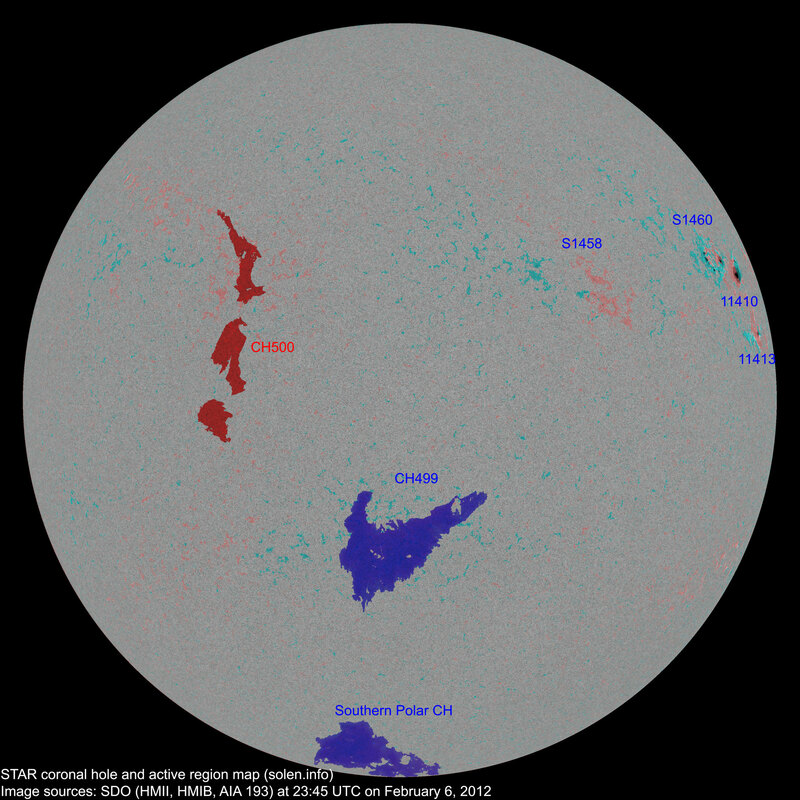 Last major update issued on February 7, 2012 at 05:45 UTC. 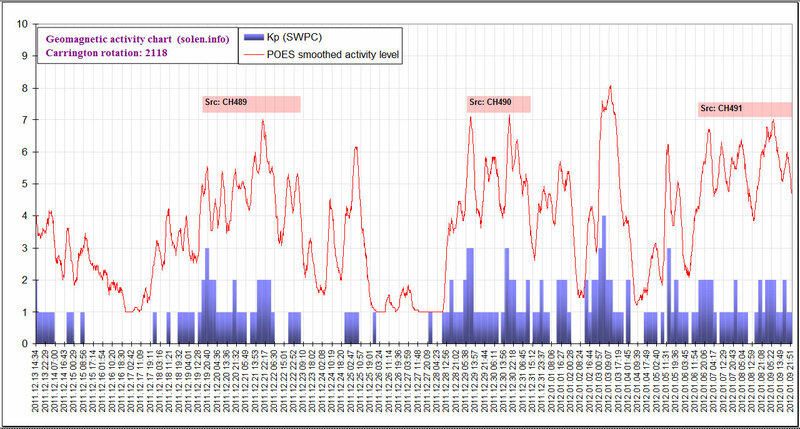 The geomagnetic field was quiet to unsettled on February 6. 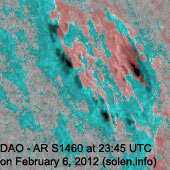 Solar wind speed ranged between 352 and 416 km/s under the influence of a low speed stream from CH498. 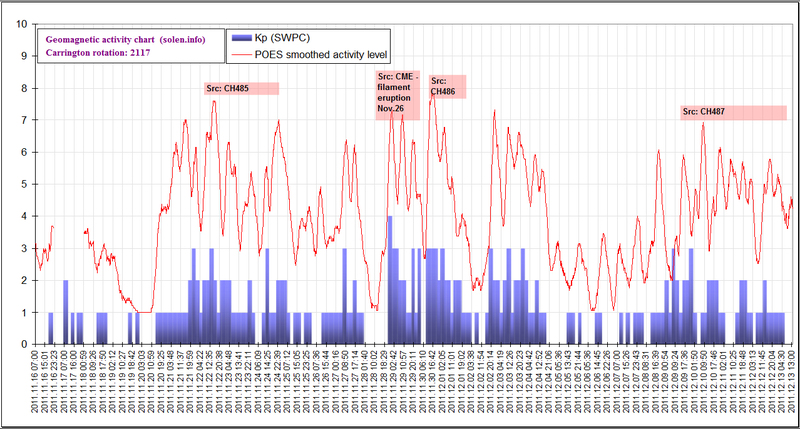 Solar flux measured at 22h UTC on 2.8 GHz was 102.2 (decreasing 26.6 over the last solar rotation, the measurement at 20h UTC was flare enhanced). The planetary A index was 6 (STAR Ap - based on the mean of three hour interval ap indices: 6.1). 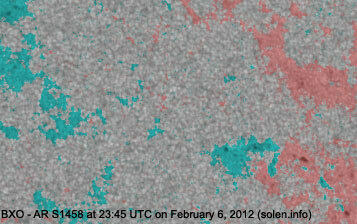 Three hour interval K indices: 12001332 (planetary), 12102221 (Boulder). 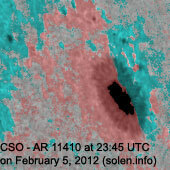 Region 11410 [N17W70] developed slowly as the main penumbra grew slightly. 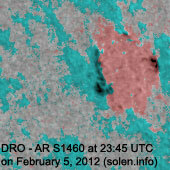 SWPC regards this and region S1460 as one region. 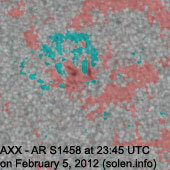 Region 11413 [N08W74] was quiet and stable. [S1460] emerged in the northwest quadrant on February 5 to the east of region 11410 and developed quickly on February 6. 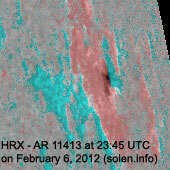 Some penumbra fragmentation was observed after the M1 flare. Location at midnight: N19W62. 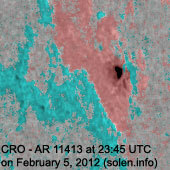 Flares: C1.2 at 17:27, M1.0 at 20:00 UTC. February 4-6: No obviously Earth directed CMEs were observed in LASCO and STEREO imagery. 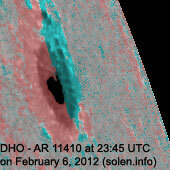 A recurrent coronal hole (CH499) in the southern hemisphere was in an Earth facing position on February 6-7. 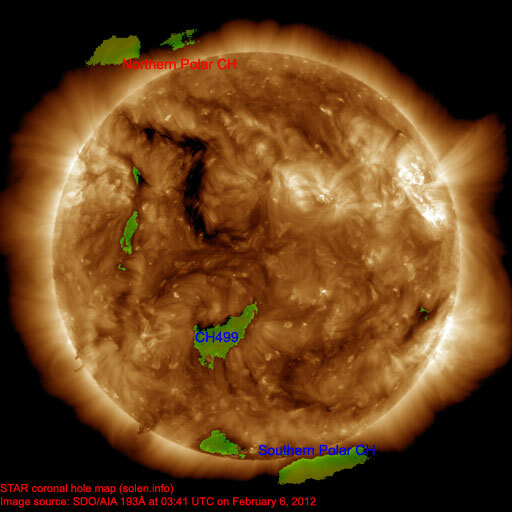 A recurrent trans equatorial coronal hole (CH500) will likely rotate into an Earth facing position on February 8-9. The geomagnetic field is expected to be mostly quiet on February 7-8. Weak effects from CH499 are possible on February 9-10.